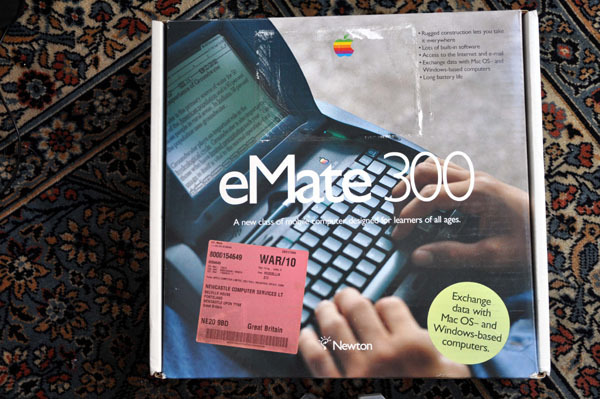 We have the Apple eMate 300 complete in its original packaging from John Law. 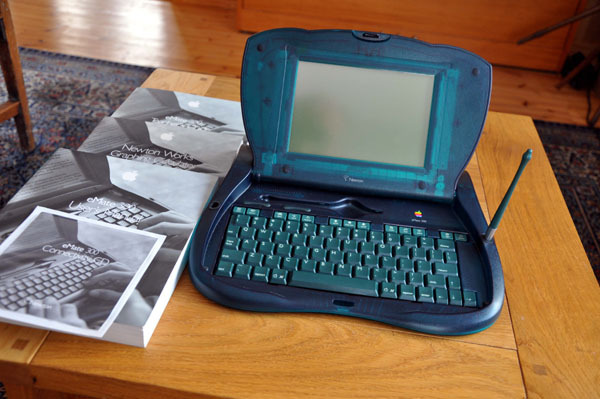 The eMate 300 was designed as a low-cost laptop computer for the education market. It was discontinued less than a year after it was introduced. Here it is opened up. The stylus is in its active position; its parked position is in the sculptured slot above the keyboard. The complete set of documentation is on the left. Here it is, with the back off. Motherboard above, and the rear of the keyboard below. 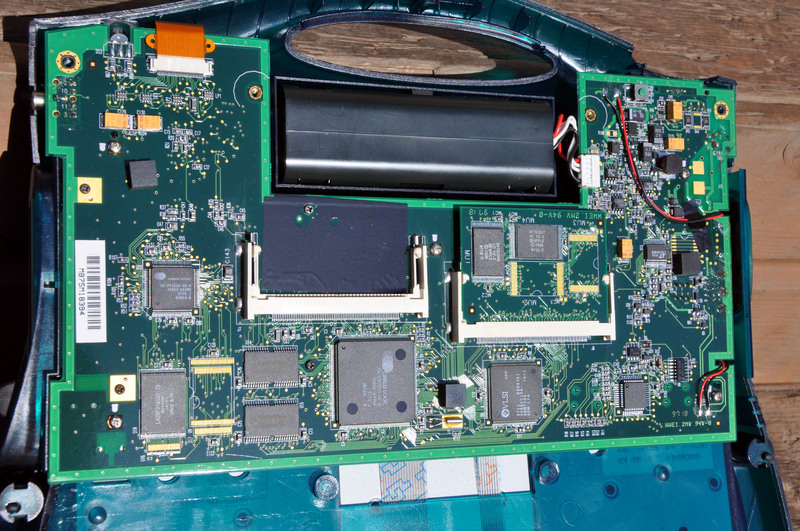 A close up of the motherboard. 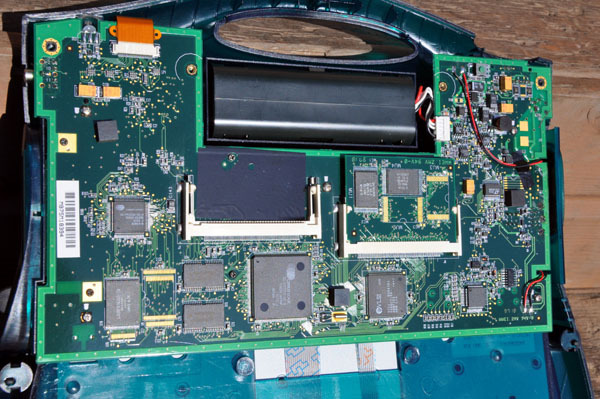 There is lots of information here, but I have not found much out, except that there is a large CIRRUS LOGIC chip with 256 pins, and an ARM (Advanced Risc Machines Limited.) chip with 144 pins. 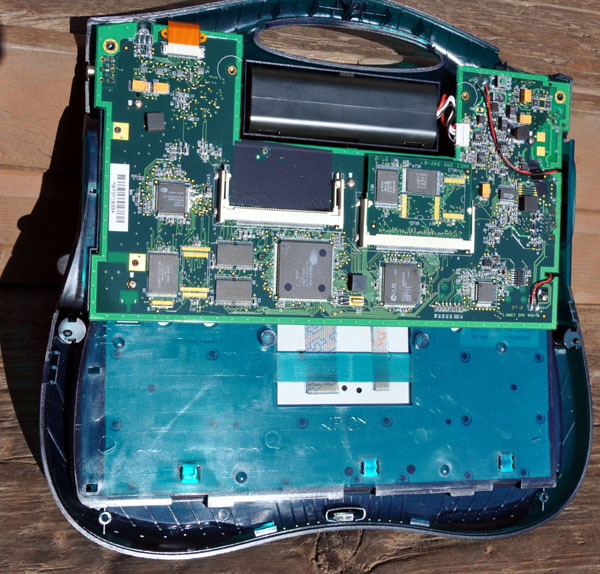 The ARM chip was 25MHz processor. The eMate used the Newton operating system, and it is still in working order.